Norma Rekar, 90, of Columbia, was transported to University Hospital after a rear end crash on Interstate 70 Saturday afternoon. The crash was reported on Interstate 70 eastbound shortly before 10:10 a.m. Tuesday. 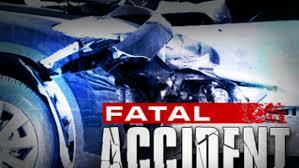 The accident was reported on Interstate 70 in Saline County Sunday morning around 8:30. When the driver, Zechariah Heryford, 37, of Galt, California, became nervous, K-9 Rony was called in and indicated to the odor of drugs.